July, I think, is the best month of the Year for anyone to take stock of his gardening nad landscape operations. The weather usually works against doing anything that isn’t absolutely necessary – mostly watering, weeding, mowing and spraying – and so with the frequent inclination to sit down there’s plenty of opportunity for thought. But most important, its the middle of the season, and an excellent time for looking both backward and forward. Spring is still quite fresh in our minds; summer, of course, is round about us; and, from the present looks of things, we’ve, a pretty good idea of how the garden will shape up for fall. Springtime, for every gardener, is always a beginning, a fresh start, a new experience. But from the standpoint of planning and planting, the gardener’s year really begins in -the late summer or fall – because it’s then that the spring flowering subjects are acquired and planted or dug up and moved. It’s in the fall that we set out most of the plants that make for the beauty of spring and early summer, and it’s in the fall, too, that most of the permanent features of every garden are given their start. Lawns are best made in the fall and in most cases trees, shrubs, roses and long-lived herbaceous perennials are best planted sometime between August and November. Before very long, then, a new gardening year will be upon us, and we’ll all be busily engaged in the planting of our newly bought bulbs, roses, peonies, shrubs and the like, replanting or moving the old, ones, making or remaking our lawns, and in general working like-beavers on what will be our gardens of next year and the years to follow. This month of July, therefore, is the ideal time for thinking about what’s to be done-in each of our own gardens. Not many years ago the hemerocallis was usually thought of and discussed with only moderate respect and with little if any enthusiasm. Its durability and adaptability were appreciated, to be sure, and the clear yellows of some varieties and the deeper tones of others insured at least the “acceptability” of the genus. But of recent years it has gained popularity by leaps and bounds, and after studying the cover pictures and the daylily articles in this issue I’m sure everyone will agree that these plants really have a wonderful future. 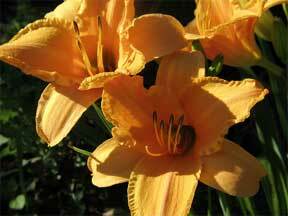 As a matter of fact, the daylilies of today (let alone those of the future!) 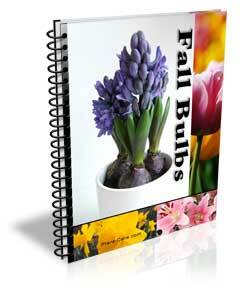 have just about everything that makes for top garden popularity. Their flower shapes and colors have brilliance and variety; their flowering season extends from spring to fall; they are suitable for almost every kind of garden use; and they can be well grown with a minimum of gardening skill. 33 Questions – What’s Your Landscaping IQ?